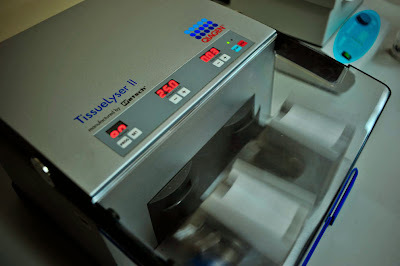 GSL offers extraction of DNA from lyophilized leaf samples with the use of Tissue Lyser and Thermo KingFisher Flex 96 system. 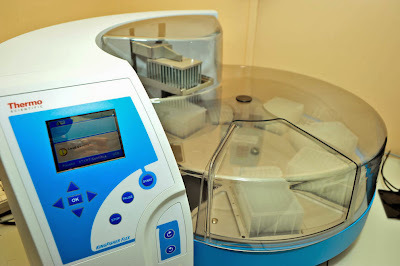 The KingFisher flex is a fully automated, high-throughput and high-speed nucleic acids purification system. Uses advanced magnetic technology to move particles through phases of binding, washing and elution to yield high purity DNA. After the DNA extraction, at GSL we perform the quality control analysis using Nanodrop spectrophotometry. For requests that do not include DNA extraction, the use of Modified CTAB Method with RNAse treatment is recommended for best results.